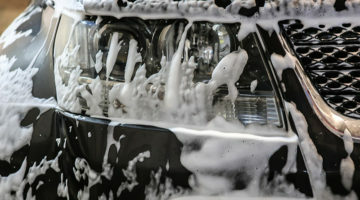 Chemicals for touch-free carwashes differ from their friction counterparts. When operating touchless wash systems, it is especially important for equipment to use chemistry specifically developed for touch-free cleaning. Chemical solutions for touch-free cleaning can include stronger acids and alkaline chemicals as well as different surfactant chemistry to overcome the wash’s absence of friction. 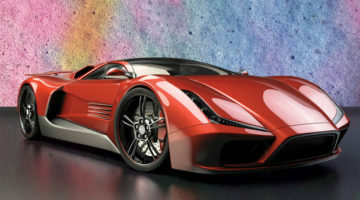 Surfactant chemistry is especially important, because these are the molecules that bind to the dirt and help lift the particles off the vehicle surface. With touch-free cleaning, stronger surfactants must be used in order to make a tighter bond with the dirt particles. Surfactants work by bonding one side of the surfactant molecule to the dirt with the other side breaking the surface tension of — and then binding to — the water. 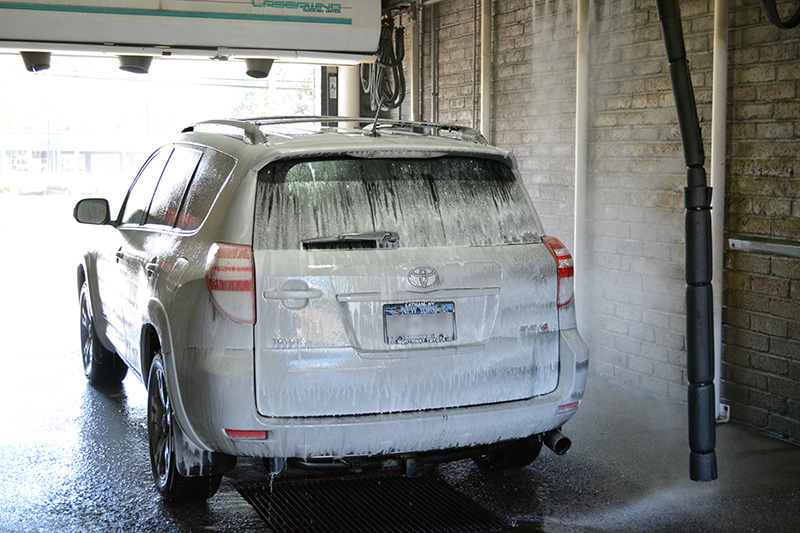 This allows the water to wash away the surfactant-bonded dirt, leaving only the clean surface of the vehicle. 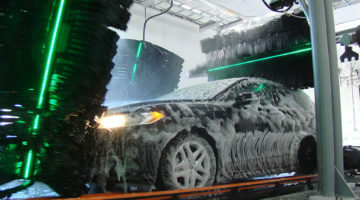 In addition, many dirt and grime particles release from the surface of the vehicle and attach to the surfactants better in higher or lower pH environments. The majority of dirt is aided to release in high-pH, or what is called alkaline, environments. This is why in many single-step presoak systems, the chemical chosen will be an alkaline presoak of some type. While this will clean the vehicle surface free of most dirt, it doesn’t attack the particles that need an acidic environment. Much like the dirt particles, some vehicle surface types release dirt more readily when their pH has been altered to either high or low-pH. As a general rule of thumb, glass and chrome will require a lower pH or acidic environment to release dirt, and painted surfaces will benefit from a higher pH or alkaline environment. In the cases where simply using an alkaline presoak may not be enough to reach all dirt and surfaces, a two-step process — an acid-based presoak, first, followed by the alkaline cleaning — is recommended. Dwell time is important when it comes to touch-free cleaning. Whether a location is using a two-step or a one-step presoak system, it is important that the chemicals have enough time to sit on the vehicle and bind to the dirt in order to lift it away. Generally, the more time the presoak can be allowed to be in contact with the vehicle surface, the better — but only up to a certain point. The ideal dwell time for each pass of presoak is 30 to 45 seconds. This allows ample dirt penetration without harming the surface of the vehicle.